It seems well to reflect on some of the comments written by those taking our survey on the revised translations of the Roman Missal. Keep in mind, the earliest shipping dates I have seen for the missals themselves are in September and October. Q. ﻿How are these changes going to be introduced to children, especially young children, who are still learning parts of the Mass and trying to understand what they mean? What materials are religious ed/CCD teachers AND parents going to be given to help them explain the changes and what the words mean to the children? Good question. The new translations will be an excellent opportunity for teaching, even if some of the words are more difficult for the children to pronounce. We're still reviewing the materials as they're printed and will select the best to use in both our Religious Education Program and our School. There are, as you may be aware, three separate Eucharistic prayers which can be used during masses for children which we use from time to time. I need clarity on whether these can be used after Advent, or which parts need to be changed. Stay tuned. Q. 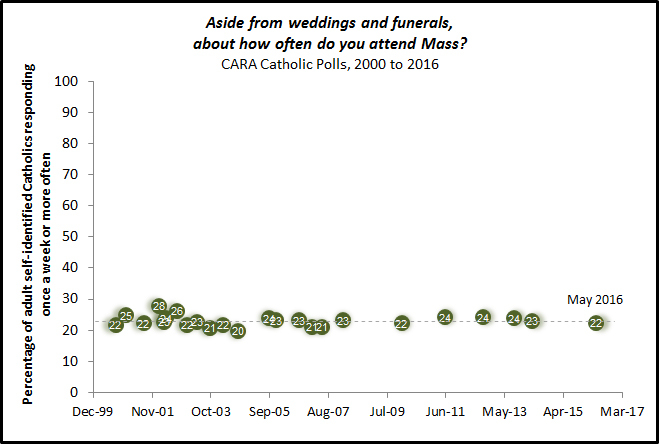 In a time when attendance at Mass is plummeting, why is the church hierarchy spending resources re-translating the Mass instead of addressing some of the more fundamental problems facing the Church? Further, the translations have resulted in a more stilted, awkward dialogue -- not a dialogue that would increase a person's feeling of comfort and closeness communicating with God. It's premature to speculate on the fruits of the new translations, but I think it's fair to say that "comfort and closeness communicating with God" was not the aim of the new translations. For good or ill, a liturgical, Scriptural tone more attuned to the Church's official texts was the goal. Let us pray that our liturgical prayers bring us closer to God in all ways. Q. Everything old is new again; makes earlier decisions look questionable; why, therefore, not these? A: I doubt these translations are forever either, you're right. As spoken and written English changes, or if the priciples guiding the translations are changed, so will the text...just not quickly. Comment: Won't make anyone more holy. Response: No public liturgical prayer will automatically do so. The hope is that the more formal language will promote a spirit of reverence during the liturgy which will help our personal call to holiness. Let us hope. Happily our air conditioners in the Church worked at full capacity during the week and kept us cool for daily mass, several funerals and weekend worship. They were assisted by four separate urgent visits by our HVAC company to replace burned out switches and other assorted ills brought on by the extreme heat. Last word was that we would need a new compressor in one of the units, but we were pleased with the performance of all the units, especially the venerable units in the church attic. By Sunday evening, the church was actually "cold." Thanks to our sacristan for keeping a watchful eye and making the calls and to Northwind for their timely service calls. So far the results are interesting though partial and incomplete. Approximately 20 parishioners have taken our survey on the revised translations. One important goal of our survey is to help plan the amount and kind of preparation we need to do for the orderly implementation of the new translations at the beginning of Advent 2011. There will be more bulletin inserts and some catechesis at mass and a parish meeting for those interested in learning more about the history and the reasons for the new translations. Holy Cross Achieves 2011 Bishop's Annual Appeal Goal ! Thank you to all our parishioners who contributed to the Bishop's Annual Appeal this year and enabled us to reach our appeal goal. The parish shares in all additional contributions to the appeal, so if you haven't yet contributed to the appeal, please support it now. Your diocese and your parish both need your financial support now more than ever. Help us plan for the implementation of the revised translations of the Mass on the First Sunday of Advent 2011 by taking this survey. This year we are being treated to a bright display of gold and yellow cosmos in our parking islands. It's interesting to see which of the many seed varieties we've sown in the beds takes hold. Surely, the sandy soil and the increasingly acidic environment created by the juniper evergreens play a role. Marigolds and petunias and red poppies haven't fared too well, an occasional volunteer purple coneflower has made its appearance but the hardy perennial blanketflowers have established themselves at least on the periphery of the beds and the nearly indestructible cosmos self seed and give us two blooms per season. The blooms in front of the gym are not quite ready, but some of the many marigolds and zinnias we planted there have bloomed and promise a splendid display in a few more days. of the more well known cosmos. Please help us spread the word about the summer schedule of masses at Holy Cross. The only change for the weekends is that there is NO SUNDAY 12 NOON MASS. It's sad to see several families arrive for the mass only to be surprised and disappointed. All other masses remain unchanged. Our regular mass schedule will resume in September. The summer schedule allows worshippers to avoid the beach traffic and accomodates the shift to earlier mass times we have typically seen in the summer months. Holy Cross was happy once again this year to host parking for those who wished to view Sea Bright's fireworks. Thanks to the splendid cooperation of the Rumson police, everyone was well behaved and cooperative. It was a pleasure seeing so many families stream to the fireworks together, including of course, the many strollers for the babies, but even a wheel chair for one very-much-loved and probably somewhat adverturesome grandma. While so much attention was focused on the eastern coast, I hope nobody missed God's fireworks in the west. and the sky almost looks like the sea. Several pedesterians stopped in their tracks to take pictures of the breath taking sunset.